Self-regulation strategies help students—including those with autism spectrum disorder—learn cognitive processes for math word problem solving. Tell themselves what to do. Ask themselves questions as they work through each math word problem. Check both the process used to solve the math word problem and the solution and answer. Self-regulation strategies for the Solve It! instructional approach include self-instruction, self-questioning, and self-checking. Self-instruction is the process of providing one’s own verbal prompts and talking oneself through the problem as it is solved. 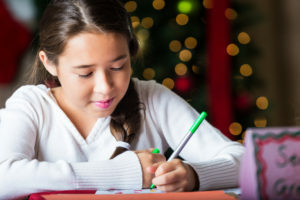 Self-instruction is useful for students who have difficulty verbalizing and remembering sequences of behaviors or activities such as the cognitive processes required for math problem solving. The information goes with the question. The visual representation reflects the problem information and shows relationships among the problem parts. They used the important information. All operations were done in the correct order. Everything is correct. If not, they go back. The final recourse is to ask for help. Students may need to be taught how to recognize when they need help and how to ask for help when they need it. In the Solve It! approach, students learn the “Say, Ask, Check” procedure for each cognitive process/step. Students are not expected to recite the self-regulation procedures verbatim, but they are expected to become familiar with the self-instructions, questions, and checks to the extent that they can use them automatically. In the Solve It! approach, student cue cards contain cognitive processes/steps and accompanying self-regulation strategies. In the Solve It! approach, student cue cards contain the cognitive processes/steps and accompanying self-regulation strategies. The student cue cards provide the support needed as students are acquiring the cognitive processes and strategies and then applying them as they solve actual math word problems. Student cue cards list verbalizations associated with each cognitive process, which helps students remember what they need to say to themselves. Students should be told to use the student cue cards until the verbalizations are automatic. For example, students would say, “Read the problem; if I don’t understand, read it again” before reading the math word problem. Then they would say, “Underline the important information and put the problem in my own words” while paraphrasing a problem. Then they would tell themselves, “Make a drawing or diagram” to cue visualization. Solve It! is an evidenced-based instructional approach that helps students—including those with math difficulties, learning disabilities, and autism spectrum disorder—learn the cognitive processes and self-regulation strategies to develop math word problem-solving skills. Learn more.